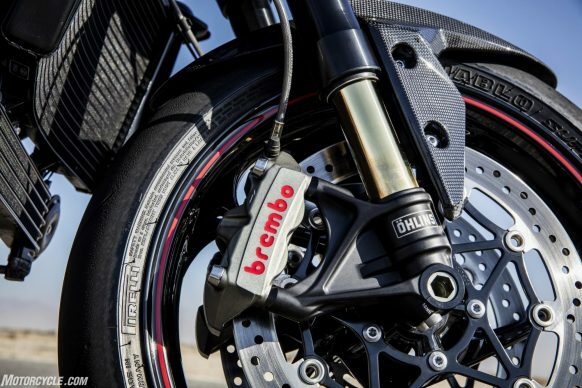 Brakes remain the same Brembo M4.34 units found on last year’s model. Rear brake is a single Nissin 2-piston caliper gripping a 255mm disc. Suspension units on the RS model consist of a fully adjustable Öhlins 43mm NIX30 fork and fully adjustable Öhlins TTX36 shock, while the S model wears a fully adjustable Showa 43mm fork and Showa shock with rebound and compression adjustability.